The Gryphon Legato is available in standalone with and without external power supply, and in modular version for install into the Gryphon Pandora preamp. Available as stand-alone unit or as integrated modules in the Gryphon Pandora and the Gryphon Sonata-Allegro preamplifiers. 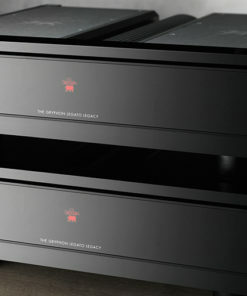 When installed in the Gryphon Pandora preamplifier, the modular Legato Legacy is powered by the preamp power supply. Legato Legacy modules can be factory-fitted or added at a later date. The stand-alone Legato Legacy is a stylish slim line cabinet that can be driven by its own power supply (identical to the power supply developed for the massively over-the-top Pandora preamp) or by your Gryphon preamplifier’s power supply. In both configurations, the sensitive low-level signal is fully shielded in a dual mono, RF-free environment with no internal wiring, fully sealed PCB’s specified to the highest standards, zero negative feedback and DC coupling. In 1994, Gryphon stunned the audiophile community with the Gryphon Orestes phonostage, the world’s first fully balanced MC preamp. Perhaps equally surprised by the fact that we chose to do it all as by how well it was done, the audio press had only the highest praise and admiration for the Orestes, “Utterly convincing. With a delightful firmness and wonderful resolution, it enhanced the performance of one MC cartridge after another. It offers earth-shaking bass and beguiling, airy highs.” (Audio, Germany). 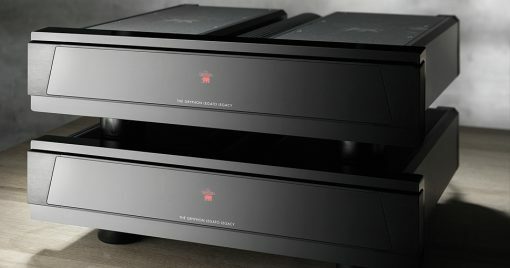 At the turn of the millennium, Gryphon re-invented LP playback once again with the Legato phonostage. The word “legato” is from the Italian for “bound together.” In classical music, it is a composer’s instruction to play in a smooth, flowing manner without detached notes. 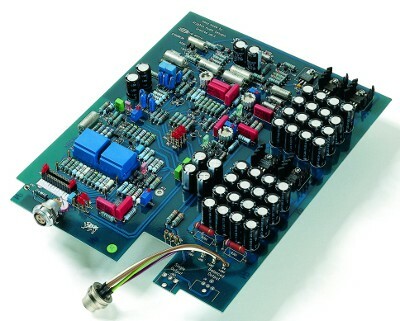 Briefly discontinued, the Gryphon Legato phonostage has been revived by popular demand in the Legato Legacy version to harvest the fruits of our explorations into the latest circuit topologies, low-noise component breakthroughs and power supply innovations in the service of the vast body of music that will continue to enlighten the lives of dedicated music lovers for years to come. Designed to fully exploit the inherently balanced nature of the phono cartridge, the Legato Legacy phonostage employs the finest balanced LEMO connectors. 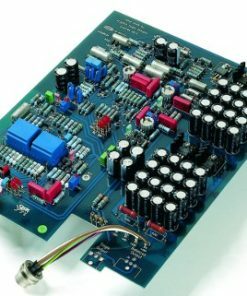 Impedance loading is selected via a high quality, Swiss precision attenuator which can be bypassed once the owner has identified the optimal load. Critical components are sourced from suppliers with extensive experience in building to the tight tolerances specified for military or medical equipment. Final assembly and testing are conducted in-house. Component quality, mechanical construction and cosmetic design fulfill the high expectations that come with the Gryphon name. A classic example of Flemming E. Rasmussen styling, Legato Legacy exudes pride of ownership and stands as an ideal partner for the new Pandora reference preamplifier both in design and performance. Dedicated to the music lover who continues to seek out the countless musical treasures available on LP, the Gryphon Legato Legacy phonostage is the key to all the power, purity and subtlety of expression captured for posterity on black vinyl.